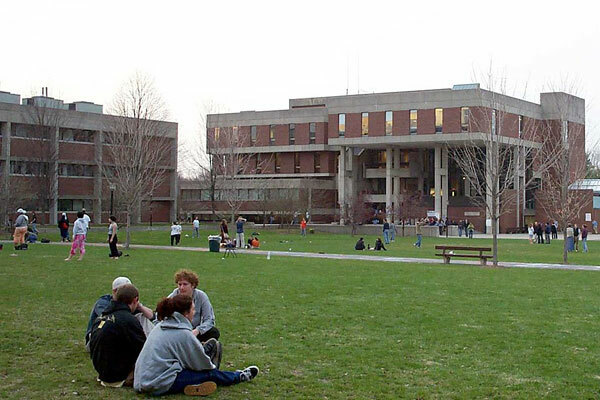 Hampshire College—a small liberal arts college located in Amherst, Massachusetts—is in financial trouble. The nonprofit private school has deliberately cut its fall incoming class, which seems counterintuitive for a school that gets 90 percent of its funding from tuition. It now has a new president whose first order of business is to raise money—from $15 million to $20 million in the next year. In a climate of fewer small donors and a decrease in liberal arts studies, coming back to life will be a Herculean task for the almost-fifty-year-old Massachusetts college. Studies have shown that small colleges are struggling. In Hampshire’s case, Massachusetts recognizes the threats to small liberal arts college, with their expensive small class size and proactive mentoring from faculty. Nonprofit Quarterly reported earlier this year on the efforts of the Massachusetts Board of Higher Education to identify schools at risk and intervene to protect students if schools must close. While the nonprofit college has an endowment of over $50 million, it is in debt to the tune of $27 million. Between 2015 and 2018, enrollment dropped 15 percent. Hampshire’s board of trustees announced in the beginning of this year they would limit the fall 2019 class to just those who had accepted early admission and those who had been given the opportunity to enroll the year before but took a gap year off, a total of 77 students. They forecast total enrollment of 600 people in the fall, down from 1,100. There has been no shortage of hardship. In February, the now former president, Miriam E. Nelson, announced the school was looking for a partner, as they were hoping to merge with another institution of higher learning. At the start of April, the board chair, the vice chair, and the president all resigned. Board chair Gaye Hill cited the “vitriol, slanderous attacks, and the questioning of motives” leveled against her and her colleagues. Hill had been a trustee for six years. Another trustee, Mingda Zhao, also resigned. In his letter of resignation, he stated he was asked to leave, accused of breaching the board of trustees’ code of conduct, communicating with presidents from other colleges near-by in an effort to confirm Hill’s assertions about the insurance policy the schools share. Thirty-four food service workers at Bon Appetit, a café on the 800-acre campus, were given notice on that they would be let go on August 1st. Nine members of the advancement and admissions staff will be let go April 19th. Into the fray steps Kenneth Rosenthal, one of Hampshire’s founders. He was the college’s first treasurer, a trustee, and was a parent of a Hampshire student. He is quite different from many interim presidents; he brings 50 years’ worth of knowledge of the school, and with that, some hope. Although the school has a young body of alumni, with the oldest at 66 years old, they have already raised $3 million. With a new educational model under development, Hampshire officials are looking to bring in a full freshman class in the spring of 2020. Immediate layoffs still appear necessary, but Rosenthal is hoping to temper them with job sharing, voluntarily reduced salaries, and faculty taking leave to temporarily teach at other colleges. More than two months after the historically black college raised $9.5 million in emergency funding, its trustees have appointed a committee to plan for long-term sustainability.